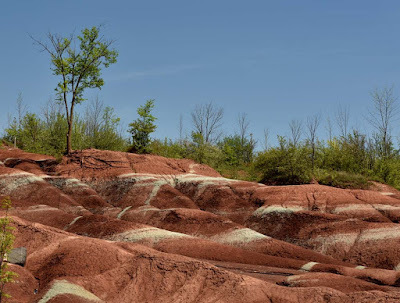 In May 2015 access to the Badlands on Olde Baseline Road was halted, fences erected and no trespassing signs installed. 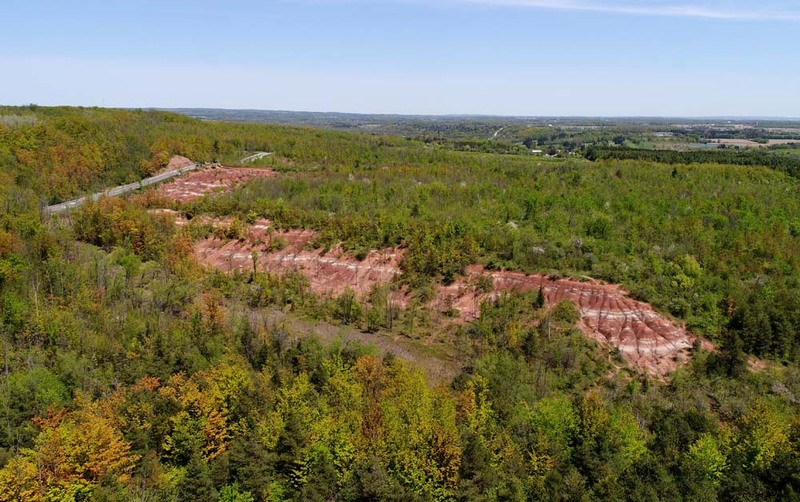 The site made famous by erosion was deemed too important for people and the undulating, iron-rich shale exposed through agricultural and livestock uses in the early 1900s. Heritage Trust Ontario, owners of the propterty say "The striking landscape of the Cheltenham Badlands is one of Ontario’s geological treasures and is one of the best examples of Badland topography in the province. 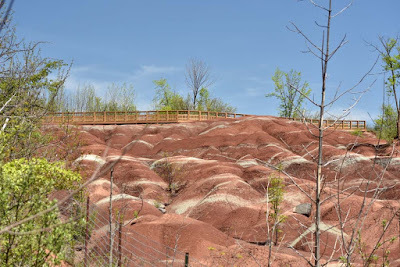 Over the years, its distinctive landscape has been attracting increasing numbers of visitors, resulting in accelerated erosion of the sensitive red shale surface and permanently changing its unique appearance." After consultation with the they have built a viewing platform at the top of the hill, looking down over part of the eroded site. 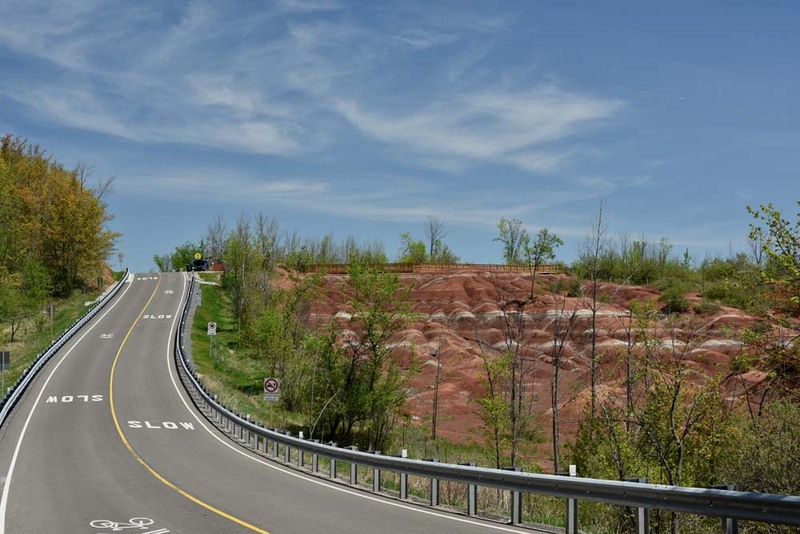 Parking for the area has been moved from along the road to a new, gated parking lot immediately to the east of the Badlands. That's right, they paved over paradise to put in a parking lot! 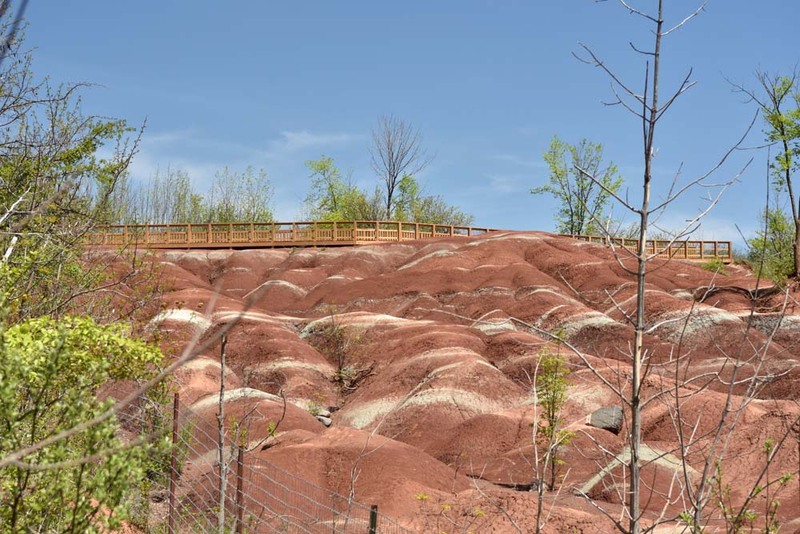 Opening of the site is supposed to be in the summer of 2018 - reports say in August, to be operated by Credit Valley Conservation.